Loaded with fresh horseradish, cracked black pepper, diced jalapeños, and a hint of fresh cucumber, finished with a citrusy twist. 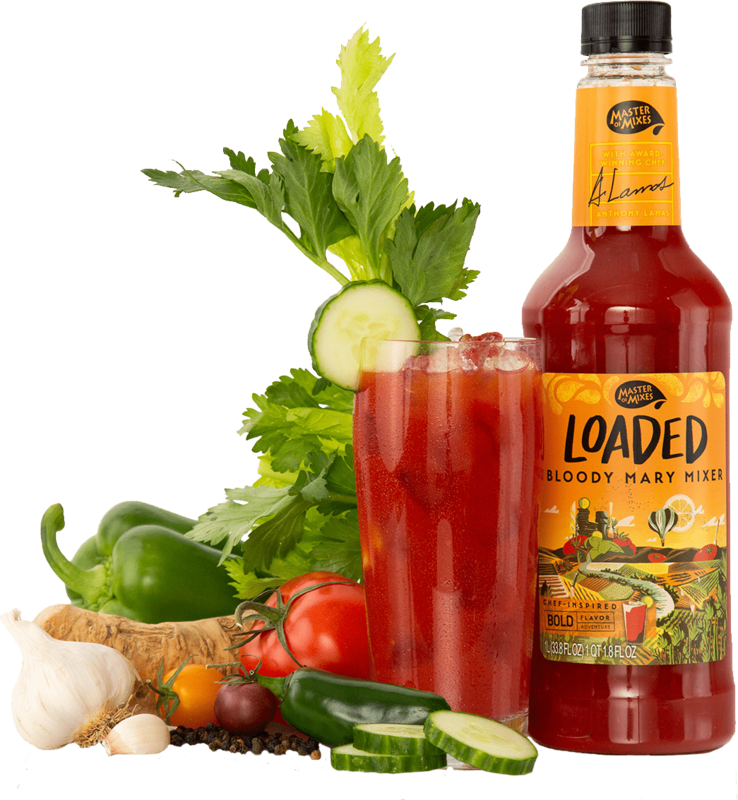 Master of Mixes Bold Flavor Loaded Gourmet Bloody Mary Mixer is our more flavorful, culinary take on the traditional Bloody Mary profile we like to refer to as a “Culinary Mary”. Packed with added vegetables and citrus notes, this mixer provides an explosion of flavors without overwhelming the palate for a concoction you simply can’t find anywhere else.